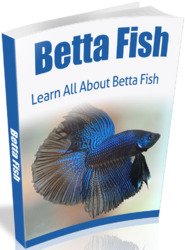 This section is provided as an introductory guide to the maintenance of marine fishes in the aquarium. Habits and requirements are given for each family, or in some cases related groups of families. Included are data such as temperament and compatibility» water conditions, relative hardiness, size, aquascape type, and feeding habits. The family listings (names and numbers) are based on the systematic listing by Nelson (1984), which is found on pages 24-25. 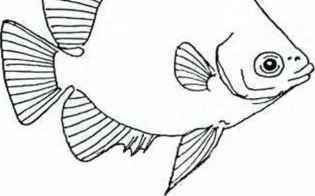 For families that have representatives common in the aquarium hobby, a generalized drawing is included to help with identification. Each drawing immediately precedes the corresponding written entry. 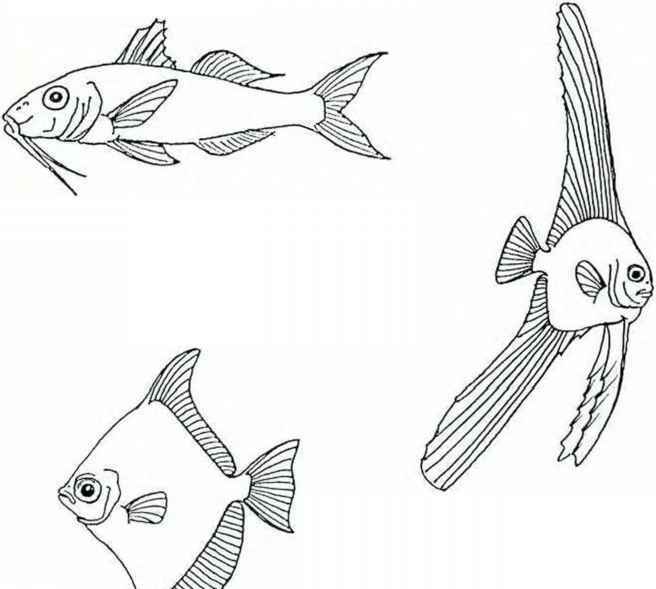 After narrowing an unidentified fish down to the family level using these drawings, turning to the pictorial section of the book should give you a good chance of identifying it down to the species level. The selection of families illustrated by drawings may seem somewhat arbitrary, but effort was made to include only those that often appear in pet shops or are commonly collected by hobbyists in coastal areas. Not all of the families listed here are suitable for home aquaria, and the writeups indicate the reasons why—many are simply too large, others too delicate, others too dangerous! In general, fishes that commonly reach an adult size in excess of a foot or so are suitable only for large public aquaria, and information on many of these species is included for the benefit of such aquaria. It should be noted that these entries are only generalizations; individual species of some families vary widely with regard to their aquarium care. The butterflyfishes of the family Chaetodontidae are a good example—some species are very hardy, eat almost anything, and are good fishes for the beginner. Others eat only live coral and other hard-to-get items, and these are almost impossible for the average hobbyist to maintain. It is always best to research each individual species, preferably before a specimen is purchased. 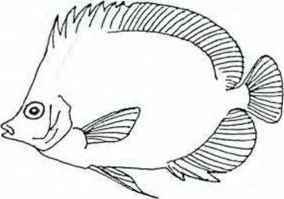 A good reference for this purpose is Exotic Marine Fishes (T.F.H. H-938), as well as much of the scientific literature. Hagfishes. Ravenous predators and scavengers, consuming dead and dying fishes Usually found in groups. Produce large volumes of mucus that may be troublesome in small systems. Not compatible with any other fishes. Dark tank, cool water. Frilled sharks. Dark, cold tank. Foods include benthic invertebrates and fishes Too large for home aquaria; rarely kept oven by public aquaria. Horn sharks Relatively inactive, often resting on the bottom Provide shaded grottos for shelter. Eat fishes, crustaceans. In captivity will accept live goldfish, chopped clam, shrimp, crab. Peaceful with fishes too large to swallow whole. Spines can cause injury; handle with care. Whale sharks. Peaceful plankton feeders. Too large for any aquarium. Sand tiger sharks. Aggressive fish eaters. Large tank needed, only suitable for public aquaria. Mackerel sharks. Pelagic. Very large, often aggressive. Wide variety in diet within this family; various species feed on plankton, fishes, manne mammals. Not suitable for home aquaria and not yet kepi with success in public aquaria. Catsharks. Among the best sharks tor home aquaria. Somewhat sensitive to adverse changes In water quality, but otherwise hardy Many are quite attractive, and many remain moderately small Goldfish, shrimp or prawn, chopped clam, and beef heart are good foods. Large tanks with caves preferred. Peaceful with most fishes, but may attempt to eat many invertebrates. Requiem sharks. Active, aggressive predators with powerful jaws and sharp teeth. Very sensitive and generally make poor captives. Very large tanks with no sharp corners are required: these sharks swim tirelessly. Will eat live or chopped fish as well as squid, shrimp, crab. Hammerhead sharks. Pelagic, extremely poor survival in captivity Extended head lobes easily damaged Very sensitive to any change in water conditions. Fish eaters, will also take squid. Dogfish sharks. Fairly hardy in captivity: not terribly prone to disease and not too sensitive to changes in water quality. Venomous dorsal spines in some species: handle with care. Good foods include goldfish or chopped fish, chopped clam, squid, shrimp, crab Large tanks with no sharp edges and few obstructions. Peaceful with fishes of like size. Sawfishes. Very large, and small specimens are fast-growing, thus generally unsuitable for home aquaria but are often kept in public aquana. Sensitive; "saw" is easily injured Fish eaters, wilt accept chopped fish and squid Soft substrate needed, as these rays will sometimes bury themselves. 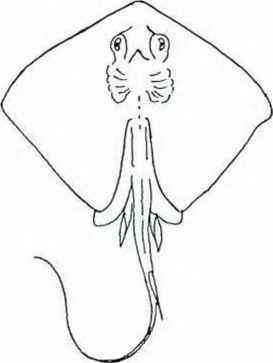 Torpedo rays. Sluggish bottom dwellers and sand burrowers. Not overly sensitive to water quality Eat small fishes and benthic invertebrates—foods, chopped tish, crab, shrimp, prawn, squid Electric organs present, which can deliver a startling but sublethal shoe*. Guitarfishes. Inactive rays: need soft substrate for burying. Fairly hardy and not disease-prone. Like dim light. Eat mostly toenthic invertebrates; almost any crustacean meat and chopped fish will be accepted Some rather large—bsg tanks needed. Peaceful with most other fishes. Stingrays. Bottom dwellers, need soft substrate. Most gr<*/ very large and require big tanks. Barbed tail spine is dangerous—handle with extreme care. Will oat most meaty foods and will devour any tankmate small enough to swallow. Eagle rays. Pelagic, often schooling. Unsuitable for all but the largest public aquaria. Foods include most shellfish and crustaceans, Warm water, very sensitive to any change in water quality. Venomous tait spines present. Conger eels. Large, active, aggressive. Provide rockwork for shelter. Mainly fish eaters. Good foods for captives include feeder fish, chopped fish, scallops, clam, shrimp, squid t.arge tanks necessary. Herrings. Active schooling fishes. Keep in large groups in large, spacious tank. Delicate scales and fins easily damaged. Very disease prone Eat mostly planktonic crustaceans—live brine shrimp is a good substitute for captives. Peaceful. Lancelike smelt allies. Delicate in captivity. Large schools, large tanks. Eat planktonic crustaceans. Benthic predators similar to lizardfishes. Will eat all fishes small enough to swallow; may attack larger ones. Also eat crustaceans Good foods for captives include chopped fish and shrimp. Large tanks necessary for many species. Coelacanth. Never kept in aquaria. Dim light preferred. Eats fishes, crustaceans. Ladyfishes. Fast-moving schooling fishes. Large, spacious aquaria needed. Warm water, eat crustaceans and small fishes. Peaceful. Somewhat sensitive in captivity. Tarpons. Very active; bnghtly lit largo tanks with no obstructions needed. Eat any fishes small enough to swallow. Hardy and long-lived Peaceful with fishes of like size. Very large; large tanks needed. Bonefish Large and spacious aquaria needed. Soft substrate a must; bonefish root about for benthic invertebrates. Foods: shrimp, crab, chopped clam, small live feeder fish. Peaceful, but very nervous and sensitive to the slightest environmental change. Small, wormlike burrowing eels. Feed mostly on worms and small crustaceans Delicate: rarely seen in captivity. Snake eels. Large but shyer than morays Many burrow; provide soft sand or fine gravel Peaceful but may eat small fishes. Primarily crustacean and mollusc eaters, Very hardy. Lanternfishes. Bioluminescent midwater fishes; superficially sardine-like. Very delicate; sensitive to water quality and rather disease prone Plankton feeders—live brine shrimp is a good substitute. Toadfishes, Big-headed benthic predators; will eat anything that can be swallowed. Large teeth and strong jaws—handle with care. Especially fond of crustaceans and molluscs. Like hollows, but place decor with care, as toadfishes like to dig and may undermine decorations. Goosefishes. Large, toothy anglerfishes—handle with care. Will eat anything—no compatible tankmates. Very large. Need soft substrate. Not too sensitive to water quality variations. Codfishes and allies Mostly coldwater, often deepwater, often large. Spacious tanks required Groups preferred. Foods: fish, crustaceans. Most somewhat delicate but some are kept in public aquaria. Cusk eels and brotulids Usually sluggish bottom dwellers Food mostly benthic invertebrates, feed shrimp, crab, chopped clam, squid. Dim tank with caves and other hollows preferred. Usually peaceful with fishes too large to swallow. Pearlfishes. Inhabit body cavities of sea cucumbers and sometimes molluscs. Emerge to teed on small invertebrates; good foods would be brine shrimp, bloodworms, glassworms. Peaceful but delicate and shy. Livebearing brotulas. Benthic; peaceful: fairly hardy. Will eat chopped clam, shrimp, bloodworms, brine shrimp, prepared foods. Dim tank with hollows. Frogfishes Lethargic benthic anglerfishes that lure and ambush passing fishes. Can swallow prey neariy as largo as themselves. Cannibalistic. Hardy, but prone to hunger strikes if overfed. Provide coral ledges for perching. Batfishes. Slow moving, benthic. Very peaceful and shy. Food mostly small crustaceans and polychaete worms but also "angle" for small ftshes. Many refuse to feed in captivity, but sometimes live brine shrimp or glass shrimp will be accepted. Cannot compete with faster-moving fishes. Dim tank with soft substrate preferred. Clingtishes Benthic. Very hardy. Very tolerant of water quality changes; very resistant to disease. Generally peaceful, but very 9mall fishes may be eaten. Often become tame. Foods: prawn, brine shnmp. bloodworms, chopped clam, chopped squid. Ryingfishes, Not easily confined, but small specimens sometimes adapt to aquaria. Jumpers; keep tank tighlly covered. Peaceful, but will eat small fishes. Wide, shallow tank without obstructions. Feed bloodworms, brine shrimp, glassworms, flake foods. Opahs. Warmwater, very large. Feed mostly on small fishes. Poorly known. Slimeheads. Similar to squirrelfishes; nocturnal predators. Generally peaceful but may eat small fish and crustaceans. Hardy. May be aggressive with conspecifics. Alfonslnos Squirreffish-ltke. Peaceful but will eat small fishes and crustacoans. Foods; guppies, brine shrimp, prepared foods. Hardy. 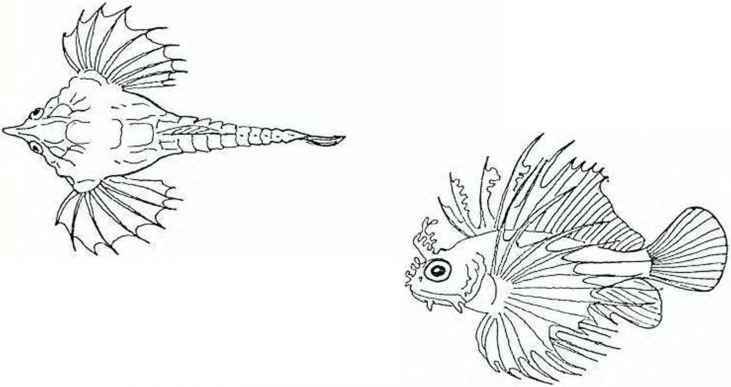 Squirretfishes. Generally peaceful, bul will eat small fishes and crustaceans Nocturnal; provide shaded hollows Very hardy and tolerant of water quality variations. Most species school, Some become quite large Foods: small feeder fishes, chopped clam, prawn, brine shrimp, bloodworms, all prepared foods. 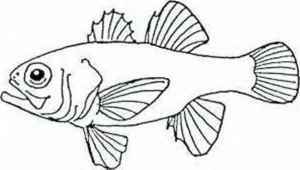 Beardlishes- Generally similar to squirretfishes in temperament and care. Tubesnouts and sticklebacks. Often coolwater fishes. Very easy to keep but are territorial and fight viciously with conspecifics if crowded. Peaceful with other species Hardy. Very tolerant of salinity variations; many species can stand fresh water. Planted tank. *=oods: Brine shnmp. bloodworms, glassworms. prepared foods. Sea moths Slow-moving bottom fishes. Peaceful, not competitive; do not keep with swifter fishes. Not disease prone, but often difficult to feed. Prefer small living invertebrates: try bnne shrimp, bloodworms. Snipefishes and shrimpfishes. Armored but stow and shy. Do not compete well with other species. Not prone to disease, but sometimes difficult to feed Eat mostly small invertebrates; try live brine shrimp, bloodworms, glassworms. Scorpionfishes. Venomous; handle with extreme care. Usually very hardy; not sensitive to water variations, not disease prone. Can swallow fishes nearly their own size, but peaceful with fishes too large to eat. Prefer coral-aquascaped tanks with ledges and caves. Many grow large Foods: goldfish, prawn. Stonefishes. Similar in care to scorpionfishes, but venom is deadly to humans. Best not kept at all! Velvetfishes. Benthic. Generally peaceful and small. Good for reef tanks, as plants and invertebrates supply good camouflage. Feed small feeder fishes, prawn Generally hardy but uncommon in captivity. Searobins. Active benthic predators. Like a fairly open substrate area on which to "crawl" around. Spiny but nonvenomous. Wili eat anything that can be swallowed. Sometimes aggressive with con-specifics. Very hardy. 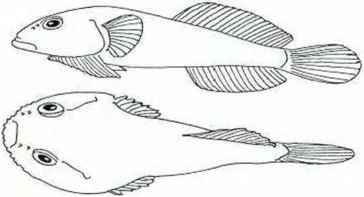 269) PLATYCEPHALIDAE Flatheads. Similar in care to searobins. Sablefishes and greenlings. Large, midwater or benthic. Often cold-water speaes that require large tanks Feed mostly on crustaceans, molluscs, fishes; good captive foods include chopped fish or clam, shrimp, crab, squid. Rocky tanks with plants. Sculpins. Generally small (but there are exceptions), very territonai with conspecifics but relatively peaceful with other species. Spiny; handle with care. Usually very tolerant of environmental variations, and many are very adaptable to salinity changes. Like plenty of hiding places and a cool, dim tank. Will eat small fishes and invertebrates; good foods include guppies or goldfish, brine shrimp, bloodworms, glassworms. chopped clam, prawn. Poachers. Coldwater. benthic. Peaceful. Sensitive to variations in water quality. Generally eat small invertebrates try brine shrimp, bloodworms, glassworms. small prepared foods. Lumpfishes and snailfishes Benthic. coldwater. Need water that is heavily aerated. Some rather large Very hardy; few disease problems. Peaceful with anything too large to swallow Foods chunks of clam, squid, shrimp, crab, also brine shnmp and bloodworms for smaller species. Temperate basses. Very large, generally suitable only for large public aquaria. Very active fish eaters. Sensitive to water quality fluctuations. Groupers and sea basses. 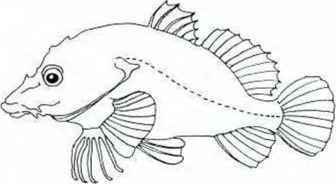 Large-mouthed predators, often aggressive with conspecifics but peaceful with other fishes if they cannot be swallowed. Will eat crustaceans and some molluscs but leave most other invertebrates alone. Like to dig in bottom substrate Coral aquascape with shadowy grottos preferred. Many very large when full-grown. Foods: feeder fishes, chopped clam, s-quid. shrimp, crab Very hardy. Dottybacks and bassfets respectively. Mostly tropical. 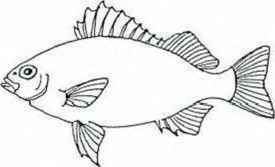 Small, peaceful grouper-like fishes, generally do not bother fish or invertebrate tankmates May be aggressive with conspecifics, however. Prefer heavily aquascaped tanks with lots of hiding places. Good in reef aquaria. Most are hardy fishes. Small foods: brine shrimp, bloodworms, glassworms. small slivers of chopped clam or shrimp. Most will learn to take flake foods and other prepared diets. Devilfishes or roundheads. Shy at first, but very hardy. Uke shadowy grottos May be aggressive with conspecifics. Usually slow to feed at first—start with live guppies and wean over to brine shrimp, prawn, chopped clam, prepared foods. Very disease resistant. Habits and care as for dottybacks (Pseudochromidae). Similar to serranids in appearance, habits, and care. Grunters and ahoieholes. Schools preferred. Large, spacious aquaria. Very hardy; not prone to disease; very tolerant ol water quality fluctuations. Wide salinity tolerance. Foods: brine shrimp, bloodworms, prawn, all prepared foods, feeder fishes. Cardinalfishes. Most small and peaceful. Good for reef tanks. Somewhat light-shy Many are schooling fishes. Have spawned in aquaria. Mostly trop;cal temperatures. Hardy and resistant to disease and water quality variations Foods: brine shrimp, bloodworms, glassworms. chopped clam, shrimp Large species will accept small guppies. Smelt-whitings and tilefishes. Most aquarium species are small, colorful. and shy. Feed mostly on small invertebrates. Good for reef aquaria. Often feed poorly, but good foods would include live brine shrimp, bloodworms: glassworms. chopped clam. They are very sensitive to any fluctuation in water quality. Prone to transport shock; acclimate with care. False trevallies and relatives Midwater schooling fishes; large spa-clous tank needed Feed mostly on small fishes; incompatible with smaller fishes. Bluefishes. Ravenous schooling predators; incompatible with all other species. Very large tanks needed. Fairty hardy. Wide salinity tolerance. Cobia Active, very largo. Feed on fishes and crustaceans, so incompatible with most other species. Bigeyes Nocturnal predators, peaceful and shy with all they cannot swallow. Prefer dartt overhangs and grottos in their tanks. Hardy, but some too large for average home aquaria. Jacks. Fast-moving schooling fishes. Fairly hardy but require large tanks. Somewhat prone to transport shock, Many species have wide salinity tolerance. Will eat small fishes but are usually peaceful with fhose of like size. Foods: fish, chopped clam, prawn, squid. 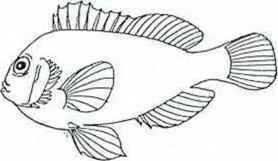 307) NEMATISTIIDAE ROosterfish. Care similar to Carangidae. Doiphinfishes. Young specimens sometimes kept but are delicate; feed brine shrimp, bloodworms. Adults are swift, pelagic—not suitable for any but large public aquaria. 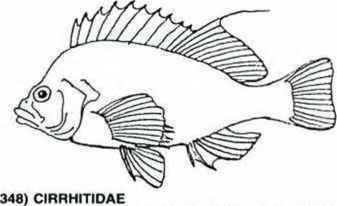 Habits and care similar to Carangidae. Australian salmon. Midwater schoolers feeding on small fishes. Cool water, large tanks. Hardy but seldom seen. Mojarras. 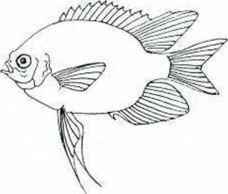 Small, active schooling fishes Peaceful, relatively hardy, euryhaline. Need plenty of open swimming room. Feed on plank-tonic crustaceans—live brine shrimp is a good substitute. Grunts, bonnetmouths. porgies. respectively. Generally, snapper-like fishes. Midwater- to bottom-schoolers. Very hardy; disease resistant; tolerant of variations in water quality. Coral/rock/plant aquascapes. Often aggressive. All foods taken, but many species also graze on algae. Emperors ana threadfin breams. 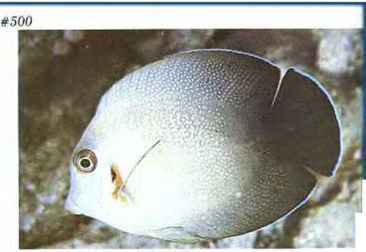 Similar in appearance, behavior, and requirements to snappers. Rovers, snappers, fusiliers, respectively. Bottom to midwater schooling fishes. Very hardy, not prone to disease. Not sensitive to water quality fluctuations, and many species are euryhaline. Peaceful with fishes too large to swallow. Many species grow large and need big tanks. Coral/rock aauascape. All foods accepted. Drums. Bottom dwellers feeding on benthic invertebrates. Fairty hardy, but tropical species are prone to Cryptocaryon infection. Most species (except the very largest) are peaceful and shy. Coral/ rock aquascape Prefer groups of same species. Foods: brine shrimp, bloodworms, glassworms, chopped clam, frozen prepared foods. Goatfishes. Use barbels to find benthic invertebrates. Excellent scavengers. Hardy when acclimated, but very prone to transport shock. Peaceful Soft substrate preferable. Foods, chopped ctam. prawn, crab, brine shrimp, bloodworms, all prepared foods. 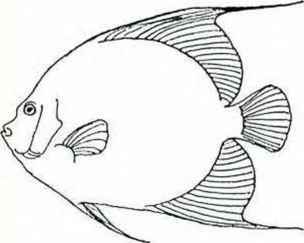 Spadefishes and batfishes Very hardy (with the exception of Platax pinnatus) but grow quite large. Very peaceful. Young prefer plant thickets for camouflage. Need very deep tanks. Coral,'rock aquas-cape for mature specimens. All foods taken vigorously. Monos. Brackish to marine Planted aquaria, roots and rocks as decorations Prefer groups of same species, but tend lo be scrappy. Generally peaceful with other species. Not overly sensitive to water quaiity. but prone to ich. Foods: bloodworms, brine shrimp, glassworms. prepared foods. Scats. Brackish to marine; very hardy but prone to lymphocystis. Not overly aggressive but sometimes nip at fins. Prefer schools but are often scrappy with conspecifics. Algae necessary in diet. Other foods: brine shrimp, bloodworms, prepared foods. Butterftyfishes. Very beautiful reef fishes. Of variable hardiness Some feed only on live corals and are almost impossible to koep alive in captivity. Most are sensitive to any change in water quality, and some are fairly disease-prone. Butte rflyfishes are very peaceful with other species but may be aggressive with conspecifics. except for mated pairs collected together. Foods: brine shrimp, bloodworms. glassworms. chopped clam, frozen prepared foods. AngeHishes. Hardy with relatively tew exceptions. Not sensitive to most variations in water quality, but some suffer in the presence of high nitrates. Most are fairly disease-resistant but some species are prone to lymphocystis. 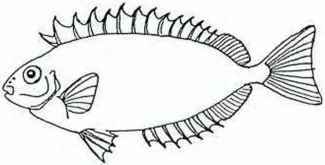 Generally peaceful, but large specimens are often dominant fishes. Often aggressive with conspecifics. Coral/ rock aquascape with lots of nooks will partition territories Algae very necessary in diet. Other foods: brine shrimp, bloodworms, glassworms. chopped clam, prawn, boiled spinach. Surfperches. Most need cool aquaria, but are otherwise hardy. Some reach a large size. Livebearers. Peaceful but will eat small fishes. Algae necessary in diet. Rock/plant aquascape. Oamselfishes (including anemonefishes). Very hardy and resistant to disease. Very scrappy with conspecifics. and very territorial in relations with other species. Lots of coral decorations will help to break up terntories. Among the easiest of marine fishes to breed; they are parental-guarding substrate spawners. Anything edible will be accepted. Algae is also welcome. Hawkfishes. Benthic predators. Like high coral heads as "perches" and vantage points. Some species grow rather large. Peaceful, extremely hardy. Coral/rock aquascape. Foods: guppies, bloodworms, brine shrimp, chopped clam, prepared foods. Morwongs and relatives. Generally similar to hawkfishes in habits and care, but most are somewhat larger. Owstomids and bandfishes. Somewhat delicate, not generally available. Feed on small invertebrates. Mullets. Fast-swimming schoolers. Euryhaline. Excellent lumpers— tank must be well-covered Feed on small invertebrates in substrate. but will accept most aquarium toods. Sensitive to tungal infections. Prone to transport shock; acclimate carefully. Large spacious tanks necessary. Threadfins. Benthic fishes Peaceful, active. Feed on small fishes and crustaceans. Wrasses. Most very hardy and peaceful. Most are at least territorial with conspecifics—provide plenty of room. Most invertebrates will not be molested except for small crustaceans. Many burrow in sand; soft substrate needed Coral aquascape. With few exceptions. all foods will be taken. Good for reef aquaria. Weed whitings. Wrasselike, care similar. Cool water and plant rock aquascape. Seldom seen. Eeipouts, wolffishes. and relatives. Bottom dwellers, some very large Cool to cold water. Most eat benthic invertebrates, but fishes that can be caught will also be eaten Rock aquascape with caves preferred. Very hardy Foods: whole or chopped fish, clarn, squid, also shrimp and crab. Jawfishes Secretive Excavate burrows in sand and gravel bottoms. Very territorial with conspecifics. but conflicts a/e largely bluff Peaceful with other species. Good with most Invertebrates; excel lent in reef aquaria Hardy Foods: brine shrimp, bloodworms, glassworms. prepared foods. Eelblenmes Very hardy Some are euryhaline. Aggressive; will eat many tankmates (both fish and Invertebrate). Bred in captivity. Foods: goidfish. chopped clam, prawn. Rocks and caves needed for shelter. Similar to eelblenmes in habits and care. Convict blenny. Hardy Prefers groups of conspecifics Coral, rock aquascape with shady hollows. Peaceful. All foods accepted. Weeverfishes. Venomous, some iethally so. Ambush predators Seldom kept. Sanddivers, sandperches, and relatives Similar to sandfishes and lizardfishes in habits and care. Surgeonfishes Algal grazers. Peaceful with other species: may be aggressive with conspecifics. Generally hardy but somewhat prone to Oodinium and Cryptocaryon. Coral aquascape. Foods: boiled spinach and vegetabie-based prepared foods, brine shrimp, bloodworms. chopped clam. Sleeper gobies. Ambush predators. Euryhaline. Lethargic: need shadowy holes for shelter Very hardy and disease resistant. Many grow large; big tanks needed Rocks, plants, driftwood. Foods; small fishes, chunks of beef heart, darn, squid, shrimp. Gobies. Benthic micropredators. Most small and peaceful, but tern-torial with their own species. Most fairly hardy. Some commonly bred in captivity (especially Gobiosoma sp.). Coral aquascape including empty mollusc shells. Excellent in reef tanks. Foods: brine shrimp, bloodworms, glassworms. prepared foods. Eel-tike gobies. Some are burrowers; soft substrate needed. Feed on small benthic invertebrates. Delicate and seldom seen. Rabbitlishes. Dorsal spines venomous: handle with care. Habits and care as for Acanthuridae. Tunas and mackerels. Extremely active pelagic schooling fishes. Too large except for public aquaria. Delicate and prone to shock. Many very large. Food almost exclusively small fishes. 415) XIPHIIDAE, 417) ISTIOPHORIDAE Swordfishes. 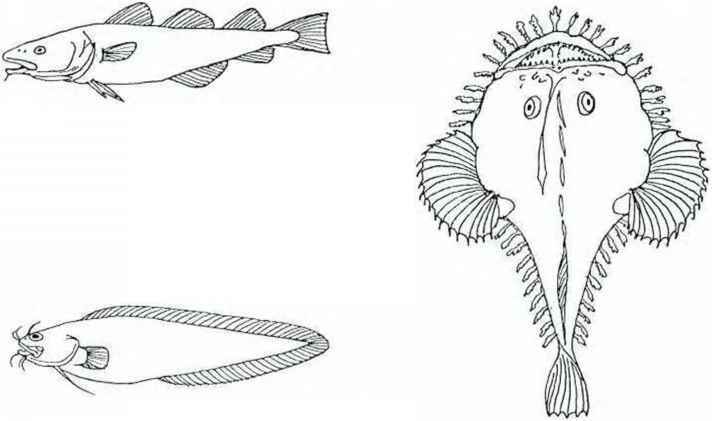 Pelagic pisctvores. Do not adapt well to captivity—bills easily damaged. Butterfishes. Open-water schooling fishes. Delicate; prone to transport injury and shock. Foods: brine shrimp, bloodworms. 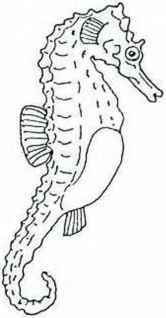 How to draw a hawkfish? Why are lizardfish not suitable for aquariums? How to draw small crustaceans?